Prince Harry has spoken movingly about how the lives of Aids orphans have been transformed by his charity, as he celebrated its achievements. 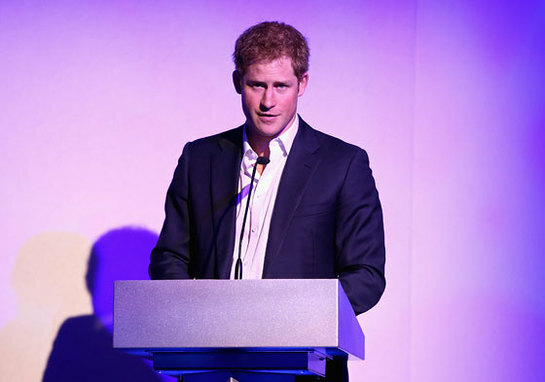 Prince Harry’s comments came as he hosted a summer party to mark 10 years since he was first inspired to establish Sentebale in the southern African kingdom of Lesotho. Singers Joss Stone and Beverley Knight entertained the guests, who included supporters of the charity which helps disadvantaged children in the land-locked nation. 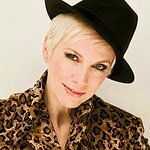 It was during a gap year in 2004 that the then 19-year-old Prince first came face to face with young people whose lives were blighted by Aids or poverty and he became determined to try to help. He was introduced to the country by a member of its royalty, Prince Seeiso, and together they founded the charity. The two men both gave speeches during this evening’s celebration and Seeiso described the day that Prince Harry first arrived in his homeland and was given the Lesotho name of Mohale, which means hero. Prince Harry told how Sentebale was able to make a difference to a girl called Mokhotlong whom he first met 10 years ago when she was five. Soon afterwards the youngster’s mother, who was HIV positive, died. 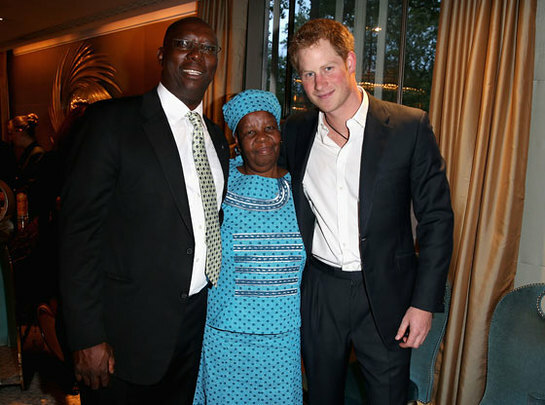 Speaking at the party at London’s Dorchester Hotel, Prince Harry said: "In February last year, I saw her again and am glad to say that Sentebale has been supporting her ever since I first met her and provides her with a bursary to attend secondary school. “This bursary only costs £250 a year. That really is a small price to pay to change a little girl’s life, in my mind. “She is one of many and, when I see or hear the difference that Sentebale and its partners have made in the last 10 years, it is a constant reminder that, not only are we doing great things in this little African country, but how much we rely on the help and expertise of everyone around us. In his speech, Prince Harry highlighted how the ravages of the HIV/Aids epidemic has left Lesotho with the third highest infection rate in the world and one in three of its children orphans. The evening opened with an enchanting performance by the Basotho Choir who sung a selection of traditional songs punctuated with warbling cries. Prince Seeiso talked of his “beautiful, mountainous land-locked country” – but one that had been ravaged by poverty and disease. He also spoke about Prince Harry’s first visit to Lesotho and how they had travelled to the “furthest reaches” of the country to visit children orphaned by Aids.